The seller guarantees the delivery of your product within 5 hours from the receipt of payment. If it doesn't happen, you can cancel the deal on your own and get you money back. BenderMoney store game currency in your game. We can buy The spheres of elevation are Path of Exile POE cheaply and quickly. 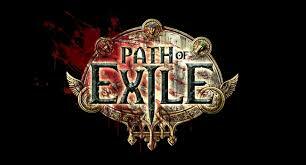 The spheres of elevation are Path of Exile POE for cheap price and fast delivery. In order to receive the paid goods, contact the consultant through the chat, provide a unique code and data for delivery. Expect in your own shelter or in the first city of Act 1. Our job is to reduce the risk to zero. We are constantly improving methods of transmission Adena to protect our customers, but as the rules say the ban on the purchase of the game box, there is always the chance of being punished.